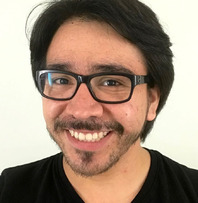 Antonio has a BS in Genomics from the National Autonomous University of Mexico (UNAM), an MS in Bioscience from King Abdullah University of Science and Technology (KAUST), and extracurricular studies on Invertebrate Zoology. His research experience spans across developmental biology, animal evolution, and bioinformatics. He has joined the group as a fellow student of the Marie Curie Innovative Training Network – ITN IGNITE ‘Comparative Genomics of Non-Model Invertebrates’ to work on the project ‘Computational identification of major gene regulation modules in development and cell differentiation’ . His project will take a comparative approach to make an assessment of putative gene expression modules in the development of sponges, making use of expression data from two freshwater sponges adapted to very different environments and giving special attention to the non-coding complement of their genomes. Mendieta-Serrano M. A., Mendez-Cruz F. J., Antúnez-Mojica M., Schnabel D., Alvarez L., Cárdenas L., Lomelí H., Ruiz-Santiesteban J.A. and Salas-Vidal E. (2018) NADPH-Oxidase- derived reactive oxygen species are required for cytoskeletal organization, proper localization of E-cadherin and cell motility during zebrafish epiboly. Free Radic Biol Med. 130:82-98.